A majority of companies focus solely on automation, and only provide the bare minimum for sales compensation administration (timely and accurate payouts as well as some simple reporting). The digital divide is apparent; the separation between the companies that apply technology (and in some cases, disruptive technology) to their planning and administration processes is growing. Better effectiveness, sales turnover, and revenue growth are all benefits being realized by these technology adopters. Technology alone doesn’t solve the problem – process maturity and strategic usage of the technology is critical to success. 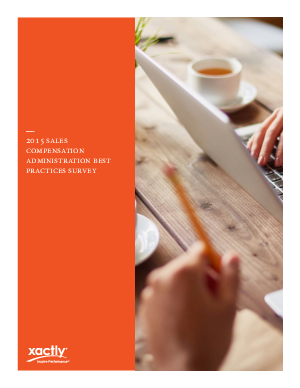 Read on to discover how companies are designing and administering their sales compensation plans, and to get additional considerations and summary findings from Xactly analysts based on an analysis of the results.